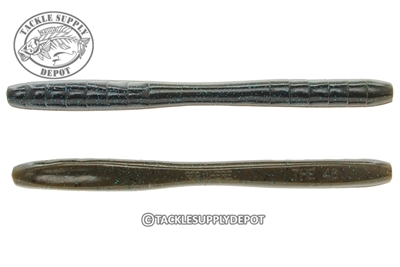 Launch into a new age of soft baits with the MISSILE Baits 48 Stick Worm. With a nail weight in the rear, the durable (The) 48 Stick Worm produces a revolutionary backwards-falling shimmy when using a weightless Texas rigging technique. The 48's ideal combination of shape, action, and function produces a seductive shimmy when rigged to fall horizontally. Also making The 48 Stick Worm versatile with every other normal rigging fishing style.